Get access to platinum prices, floor plans, incentives and your first choice of suite. Few suites available under this program. As us how to qualify for this program. Note: if you are a real estate agent please contact Daniels directly. 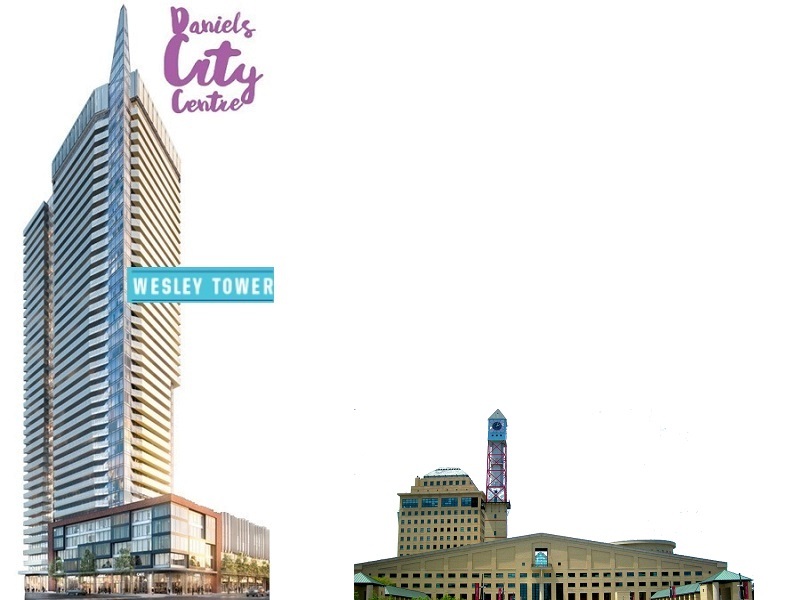 After a long break, Daniels Corporation is back in Mississauga downtown with Wesley Tower condominium. Located moments away from Square One shopping mall, at the corner of Confederation Pkwy and City Centre Drive, Wesley Tower will rise 43-storeys. Wesley Tower is a 23-acre master-planned mixed-use community. It features pedestrian-friendly walkways, tree-lined streets, a 3-acre community park and public art. Wesley combines brilliant architecture with a vibrant city culture.